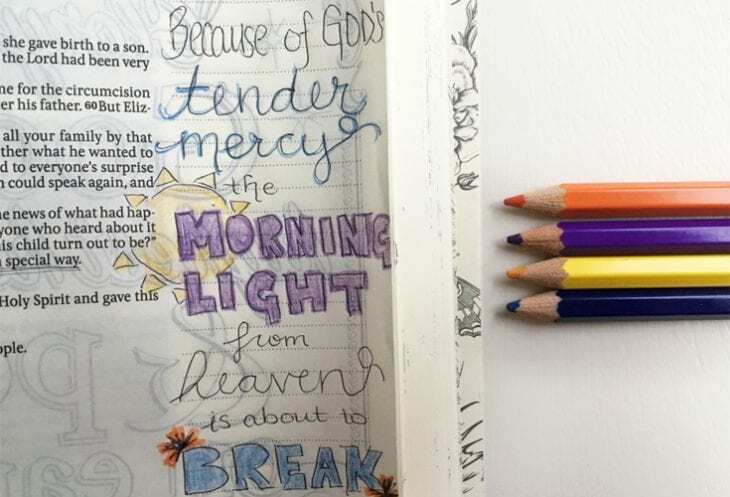 When I first saw my Instagram feed getting flooded with gorgeous Bible journaling pictures I was in awe of how amazing they were. I even went and bought some calligraphy pens hoping if I practiced my handwriting enough first then I could maybe, possibly, attempt to do Bible journaling. Well, over a year later and I still hadn’t overcome that fear. I was scared I’d mess up the pages. I was nervous it would look like my toddler had done it. 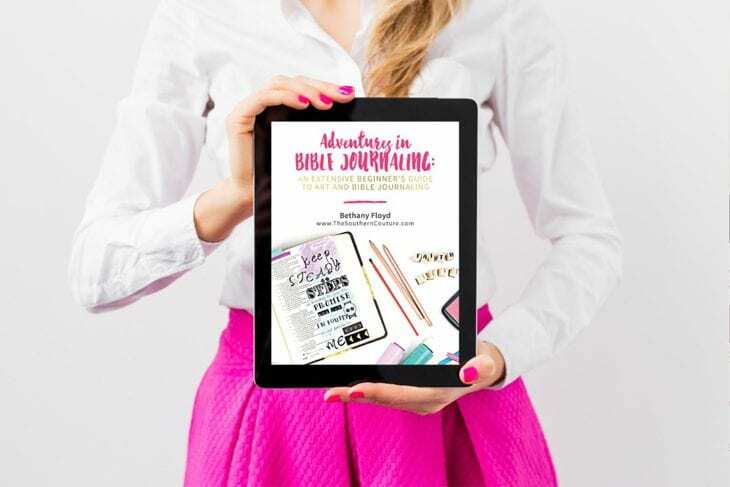 Until recently….my sweetest friend, Bethany from The Southern Couture, gave me a sneak peek of her brand new ebook, Adventures in Bible Journaling: An Extensive Beginner’s Guide to Art & Bible Journaling, and it changed everything! 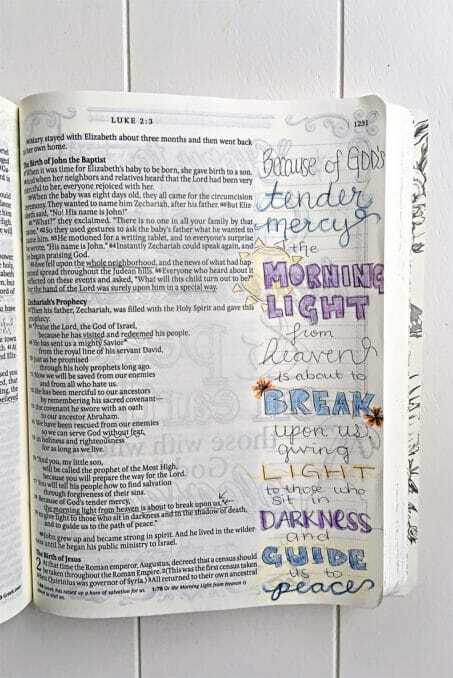 After reading Adventures in Bible Journaling I was so excited to try out Bible journaling and to grow closer to God! Bethany has it broken down by simple, easy to follow steps, and doesn’t leave anything out! This book taught me so much about how to overcome many of the fears I already knew I had, what supplies to get started with along with complete tutorials, and many, MANY tips and tricks! I learned so much and am so excited to do Bible journaling more. Being married to a graphic designer, I always am intimidated when it comes to art because I feel like he can always dodo better. BUT I’ve learned this isn’t about who does it better. It’s about growing my relationship with God and digging deep in a new way of worship. There is no way I would have gotten started without Bethany’s ebook! Lucky for you, Adventures in Bible Journaling just launched and she is offering a killer launch special! Get all the information here and get your copy TODAY.